Does Your Culture Fuel Your Strategy — Or Does it Devour it? Management guru Peter Drucker’s famous observation that “culture eats strategy for breakfast” is as valid today as ever. Management guru Peter Drucker’s famous observation that “culture eats strategy for breakfast” is as valid today as ever. For proof, one only needs to read through the 300-plus-page report that details the causes of the General Motors ignition switch failures, a debacle that led to numerous accidents and deaths and the recall of millions of automobiles. The investigation doesn’t pinpoint a single cause of this failure. But it unequivocally states that a dysfunctional corporate culture was a primary hurdle standing in the way of GM’s expressed strategy of producing high-quality and reliable automobiles. Over and over the report details a culture that prevented employees from raising and addressing safety issues and prevented managers from taking responsibility. The lack of accountability was so endemic that there was even an internal language for it. “One witness described the GM phenomenon of avoiding responsibility as the GM salute; a crossing of the arms and pointing outward toward others, indicating the responsibility belongs to someone else, not me,” write the investigators. To be clear, GM is just the most recent and high profile demonstration that Drucker’s observation was accurate. There are plenty of other equally distressing cases of culture trumping strategy. Conversely, a company culture that meshes and strengthens strategy — so evident at successful companies like Google, Apple, and Under Armour — can yield exceptional performance and innovation. So how do you get a clear perspective on exactly what your corporate culture is and ensure that you have one that fuels your strategy rather than devours it? And just whose responsibility is it to create that winning culture? The first step toward shaping culture in a positive and intentional way is to understand what culture actually is and how it operates. Music is an apt way to think about culture and its pervasive influence in a company. Like music at a concert or a dinner party, or even in an elevator, culture is in the background yet very much influencing the actions we take in the foreground. It sets the tone, pace, and tempo of our actions, allowing for certain things and prohibiting others; some music encourages toe tapping, for instance, while other tunes demand that you get up and dance. In the case of culture, each action reinforces the “music” and serves to make it even louder and more pervasive. And when you consider that all corporate performance and its results are a product of action, it becomes immediately clear why culture trumps strategy in driving corporate performance. And if the culture, or music, is not harmonious with the strategic dance you want to encourage, it’s just not going to work. The good news is that you are not stuck with the culture you have. In fact, in our work supporting strategy realization, we often have to work with executives to catalyze a cultural transformation. This is a task that, quite frankly, is best engineered by outsiders who can assess it dispassionately and can see the different facets of the culture without having been blinded by being part of it. And we have found that revealing the existing culture goes a long way toward unhooking it. But in order to alter the culture, you must first clearly see and understand your current culture. We have pinpointed nine specific facets of corporate culture. You can use this framework to discern — and if needed, begin to alter — the culture that arises from the mass of human interactions that take place each day in your company. One can argue that every aspect of work in an enterprise involves some kind of conversation. So the content, structure, and distribution of the conversations of an enterprise are its most potent mechanism for reinforcing culture. Simply paying attention to how people in a company interact, what they talk about, the language they use, and how their conversations are structured is essential. This is a standard practice for us when we are asked to work on strategy implementation or culture initiatives: We go in and interview employees to get a clearer sense of the music they’re dancing to by paying attention to the content and structure of their conversations. We worked with a company where one of the important success factors for their new strategy was collaboration. Yet when we met with senior executives, we heard repeatedly about email wars, which told us plenty about a deeply ingrained, adversarial atmosphere of “gotcha” at the company. And you can be sure that “gotcha” was going to trump collaboration. The remaining eight facets are all found in the conversations people are engaged in together and with customers and suppliers. Since all enterprises exist to serve the needs of some set of customers, how the customer is viewed, served, and interacted with is another important window into culture. One hospital system we worked with had set for itself the strategy of becoming a national leader in patient service, satisfaction, and outcomes. Despite this patient-first aspiration, when we interviewed hospital executives and staff, nobody spoke about the patients without prompting. Yet they waxed on and on about financial concerns. When we asked, we inevitably were told that “of course” the patient was important. If your culture is truly patient-centered, then the patient is not a background concern and the budget is not the main topic of discussion. Values determine choices and effective performance requires the right choices. The best way to find out what values are operational in your organization is to listen to how leaders assess each other. Note what is recognized and complimented and what is looked down upon. Ask people what it really takes to succeed. 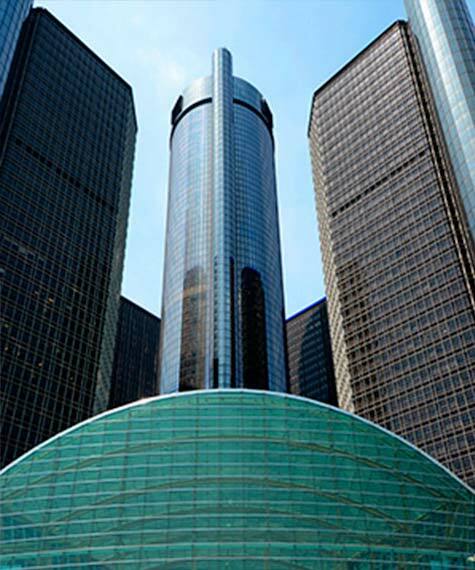 At GM, safety was put forth as a high-priority value and strategy. Yet the investigators who dissected the company’s culture found that what was truly held in high regard was not doing or saying anything to make the company look bad. Looking at what people truly hold to be important will tell you what is framing their choices and is a far better way to gauge culture than examining values written on a poster. Accountability is being answerable for providing or governing so as to meet the conditions needed to bring about the intended results. Without accountability the organization drifts; with accountability it is taken somewhere. And responsibility is about dedication beyond your stated job. Nevertheless, the actual connection between results and accountability, as well as responsibility, is often hazy or gets lost in a sea of circumstances and excuses. We were once brought in to work with a company for a breakthrough project that was $50 million behind a $500 million target. By way of getting to know the interviewee, we asked executives to describe the jobs and the results for which they were accountable. One after another, we heard answers that talked about a series of tasks. Not one person other than the person who hired us talked about results. One of the senior leadership executives even shrugged and said that in his role he had absolutely no accountability for business results. How about that for a bird’s-eye view of culture and its impact on performance? To better discern what is reinforced, make an effort to understand a company’s status symbols and what gives people a sense of belonging and pride. We once worked with a new CEO whose company had long-term success in the past, but was now struggling with a protracted stretch of flat growth and lower margins compared to their competitors. The CEO believed one way to kick-start competitiveness was to create a thrifty corporate culture and restore profitability. But what we discovered was that a sign of being a successful executive at this particular company was wearing a diamond-encrusted Rolex. How can you authenticallydrive a culture of thrift while sitting in a room full of diamond-encrusted watches? There are also legends or stories that are repeated and referred to almost on a daily or weekly basis. Often these stories have a negative tone and can even be corrosive, such as with one manufacturing company we worked with. The business had been struggling with quality issues, and when we interviewed employees we repeatedly heard about a wave of layoffs that had occurred seven years earlier. The workers who remained at the company identified themselves as “survivors,” which created a serious sense of disenfranchisement between them and management that had to be addressed before the culture could begin to change. We all know that the tone of an enterprise is set at the top. How leadership is viewed and overall leadership style in a company is another significant contributor to culture and the ability to execute on strategy. For example, one very successful bank we worked with was intent on creating a culture of customer service. As part of that effort, executives were required to spend several hours each week listening in on customer calls and a certain chunk of time each month actually answering calls. Every floor in the headquarters had glass-enclosed “listening rooms” where management could be seen listening to customer calls. Executives also served lunch to employees in the company cafeteria during the holidays. All of these things reinforced that great service was essential to the company’s core. As much as we’d like to think otherwise, all of the avenues to success within an organization are not spelled out in the employee handbook. Recognizing these unwritten rules — and altering them, if necessary — is an essential part of a cultural transformation. Indeed, one company we assisted was a top three performer in an industry, yet couldn’t catch its leading rivals. Part of the reason was because there was an out-and-out adversarial relationship between the chief merchandising officer and the chief store officer in this retail operation. Far from being a results-driven meritocracy, everyone in the company knew that in order to get promoted you had to align yourself with one of these executives and were judged based on your loyalty to them. While everyone was busy navigating this dynamic, the overall success of the company became secondary. One of the most powerful tools in setting a culture is who makes what decisions, at what pace, and whom they have to consult to make those calls. In successful service-oriented companies like Ritz-Carlton, each employee is allowed to spend up to $2,000 per day to “delight” a customer or fix a problem without consulting a manager. But in other companies, decision rights are extremely limited. One global company we worked with had 45,000 employees and instituted a rule that no contract involving more than $25,000 or travel over $500 could be approved by anyone outside the C-Suite. It was an aspect of the culture that made it very difficult for senior vice presidents and anyone lower in the company hierarchy to feel independently accountable or responsible. And managing these relatively minute amounts of money took up a significant amount of the executive’s time, keeping them from being out in the field or meeting customers. And most importantly, these actions reinforced the idea that money saved was more important than taking care of customers — which resulted in a stream of customers lost to competitors. 80: Percentage of executives responding to the 2014 Insigniam Executive Sentiment survey said they “lose sleep” over people issues in the company they lead. Every company has a story about the origins of the company, the visions of the founders, or major successes and failures along the way. Spend more than a day in any Johnson & Johnson Company and someone will bring up the J&J Credo as a reference point for action. The credo is a clear-cut statement aimed at generating an allegiance to the mission of serving patients, physicians, nurses, and so on — and makes a point to list shareholders last in a long list of stakeholders. And whilst the company has at times had breakdowns, the credo always serves as a mechanism to get back on course, resulting in one of the most consistently high-performing companies of all time. Understanding the power of culture, having accountability at the top for the culture, and revealing the facets of the current culture goes a long way in managing and guiding the culture of your enterprise. However, there is one more critical dynamic, and that is aligning strategy and culture with individual transformation. It requires executives and employees to take ownership of their part in creating that culture. All too often people discuss culture as though it’s something that has been imposed on them. We all play a role in maintaining and reinforcing it. Once that is understood, it is much easier for people to begin acting in a way that invents a culture everyone desires. One thing we’ve learned over the course of almost three decades of work supporting executives in generating new levels of performance is that amazing things happen as this evolution unfolds. Engaging employees and executives to create a new culture quickly unshackles everyone from the old way of doing things and energizes them with a passion, purpose, and potency for new achievements. Stellar article. Clearly points to the seam of the ball, so frequently overlooked or avoided.